To find the catalyst, blame modern technologies that are becoming increasingly accessible - the likes of rooftop solar panels, micro-grids, and energy storage devices. Such innovation has the potential to alter the way we have produced and delivered electrons by transforming customers into self-generating competitors. It's not theoretical. It's real - the subject of fierce debate in many states. And it's also the focal point of a Public Utilities Fortnightly conference this April 9-10 in Washington, DC. In partnership with the long-time energy publisher Llewellyn King, the conference will tackle the New Energy Economy, and what it means to energy companies, their customers and their communities. In his syndicated column, Llewellyn writes that the traditionalists within the utility sector have been taught - and quite frankly many have learned the hard way - that they need to stick to their core businesses. But he goes on to suggest that in the current environmental, economic and technological climate such a strategy may be imprudent. Consider Western Union, which in its day had been the globe's communications giant. Today, well, it's where you go to transfer funds, having never fully grasped the power of the Internet or the overnight parcel delivery service. The lesson: Being able to leverage your core strengths to adapt to changing circumstances is a good thing. "These are issues that are beginning to buffet the nation's electric utilities, as they face the disruptive effects of new technologies," writes Llewellyn. "So far the winds of change are blowing lightly, just a zephyr." By nearly every account, the centralized delivery system run by utilities will remain intact. Utilities, though, had better not become complacent. Instead, they should modernize their networks while they have the chance, investing also in onsite generation to maintain their revenues and market position. "Forward-thinking utilities are wanting to get closer to their customers and serve them more satisfactorily to create that customer stickiness and retention," says Ken Munson, chief executive of California-based Sunverge Energy. "Utilities are proactively looking to storage technology and analytics to enable them to manage their grids more safely, reliably, and cost-effectively in the face of ever-increasing penetration of renewables." 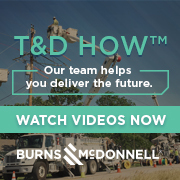 Munson, who will speak at the Fortnightly's disruptive technologies conference, goes on to say that the utilities' goals are two-pronged: changing with the times and maintaining revenues. There's no line in the sand dividing those who want to join the New Energy Economy from those trying to safeguard their current market advantages. There are, however, new partnerships - ones where the incumbent utilities are joining with technologically savvy enterprises. To this end, Sunverge is working with such publicly owned utilities as the Salt River Project and the Sacramento Municipal Utility District. Other utilities are also taking a proactive position and relying on partners: NRG Energy, Green Mountain Power, San Diego Gas & Electric, Pacific Gas & Electric, and Southern California Edison. Of course, utilities have every right to be concerned about their market positions and about the maintenance of the vast grid on which most people will still depend. The Edison Electric Institute says that the industry collectively spends $25 billion a year upgrading or expanding infrastructure. If accounts "drop off," then there needs to be a fair way to allocate the cost of upkeep, especially if utilities must still procure enough energy to serve those customers when the sun isn't shining. All good points, which is why NRG's senior vice president Steve Corneli says that utilities and self-generators will find the middle ground: "People will be using the wires less but still paying their fair share," adds Corneli, who is speaking at the Fortnightly conference. "They will just be using less than they were." Even the Edison Electric Institute, which represents investor-owned utilities, says that its members will continue to prosper in this changing environment. "Someone has to devise and build the micro-grids," which are local networks serving single entities or campuses, says senior vice president David Owens, also a panelist at the disruptive technologies conference. And after the micro-grid is devised and built, (think of it as an intelligent local network, often favored by campuses, office parks, and military bases) it still must be connected to the interstate grid and has to run reliably, adds Owens. "Utilities will be full service providers." Beyond the enabling technologies comes the Clean Air Act and its myriad regulations, causing utility markets to coalesce and shift sands. It's no secret that the older coal-fired units are being retired and will need to be replaced as energy demand resumes. Right now, the front runner is natural gas, which releases about half the carbon emissions as does coal. For now, natural gas is cheap and the units are fairly easy to get permitted. But there's also green energy, which has long been criticized by foes for being intermittent but which has a good public standing among regulators and consumers. Even coal-dependent states like Michigan are proposing more renewables and energy efficiency to try and replace about 10 retiring coal plants. Its Republican governor has set a goal of generating 30 percent of the state's energy from sustainable fuels and energy efficiency in the next 10 years. That bodes well for onsite energy. After all, such distributed power created and consumed by customers is typically comprised of cleaner fuels. The changing market also works to the furtherance of centralized networks. And utilities are especially critical to that mission, necessitating that the wires become more efficient and better able to handle more traffic. But utilities may also be the kind of partners whom the technology innovators are seeking. Consider that the tax credit provided to solar developers will decline from 30 percent today to 10 percent at the end of 2016. It's unlikely that such a plan will change, given the look of today's Congress. Strong and supple utilities with an eye toward advancing into the new energy world see this as their time. "The private technology companies will lead and the business models will change," says Darren Hammell, co-founder of Princeton Power, which makes energy storage systems and micro-grids. "Incumbent utilities are poised to be part of this future, although others will come kicking and screaming. But they will all come along, eventually." Just as technology has changed the face of the global economy, it is also having a profound impact on electricity production and delivery. Some utilities are moving quickly to capture new markets while others are taking a more deliberate approach. Either way, evolution is in the offing, leaving utilities to contemplate their futures. While they won't be the next Google, the aim here is not to become another Western Union.